Gary Germer & Associates is Portland's premier choice for appraising high-end estates and managing estates that feature rare collections of art and antiques. Hiring us to run an estate sale means you don’t have to lift a finger. From rafters to basement, we handle it all, leaving your home empty and broom swept. It starts with a free walk-through consultation where we will identify any particular challenges, estimate sale proceeds and further customize our services to meet your specific needs. We are bonded, fully insured and have over 30 years experience in the Northwest market. Fun, Funky & Functional Estate Sale! Estate of Dr. Michael Miller - Amazing Art, Antiques & Home Decor at Great Prices! Eclectic Sale in Portland West Slope: Antique, Vintage & Modern Treasures! Summer Warehouse Clearance Garage Sale: Vintage & Contemporary Clothes, Art, Decor, Glass, Pottery, China, Kid's Toys & Cloths & Much More! Local Artist & World Traveler Estate Sale: Clothing, Vintage Designer Handbags & Shoes, Books, Jewelry, "Farmhouse Chic", Hand-painted Items & More! The Dr. Ip Family of Ip Man Estate Sale - Decorative Asian Art, Furniture, Bronze and More! Tools, Vintage Clothes (including baby), Disney & Other Collectibles, Kitchenware, Pilot Accessories, Pendelton, Harley-Davidson & More! Historic McCormick Family Estate Sale - Over 100 Years in the Same Home! Downsizing Sale for Mrs. Barbara Tye - Antiques, Furniture, Art, Art Pottery & More! The Palmer Estate - A Mid Century Modern Dream! Lots of Heywood Wakefield furniture in EXCELLENT condition. The Estate of Elinor S. & John C. McGuire of the McGuire Furniture Co.
Sidewalk Sale at Gary Germer & Associates, Clearing Out Multiple Estates. Bargains & Deals! This company has posted a total of 81 estate sales. Only the most recent 50 sales are shown. Gary Germer ran a sale at my NE Portland home and I couldn't be happier. Ron and his team were extremely patient with me. A lot of memories were in that house and it proved to be an emotional exercise. I would have never guessed that the items for sale would total almost $20,000. I am extremely happy and can recommend them without hesitation. Thank you! 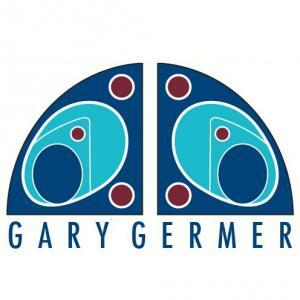 My partner and I recently visited Gary Germer's "Estate Gallery" in NW and were completely surprised by the quality of the items they had for sale! They had glass from Tiffany, Lalique, Steuben, Waterford etc. Pottery from Rookwood and Roseville. Lots of jewelry and decorator items, too. You'd never know it by the exterior. It's like a best-kept secret, a little jewel box of a place. It reminded me of places I've stumbled upon in New York City. The staff was really helpful too. Check them out! I've been to a few of Gary Germer's estate sales and have visited their 'estate store'. I am impressed with the amazing goodies they get but what I love even more is the great prices they offer on their finery. I've always been the 'never-pay-retail' maven, so I love these guys. The staff is kind of kooky- a very Portlandesque group- but they really know their stuff. The personal touch and creative displays that Melissa designed; I'm sure this helped customers see (and buy) Charlotte's treasures. Both Melissa and Garner were professional and easy to work with every step of the way. I am satisfied beyond compare with the service and experience. In fact, I will contact you again for my own sale of cherished items. Bravo! Gary & Melissa were friendly, pleasant, knowledgeable & delightful to work with. Every step was handled in a professional and amiable manner, regardless of the challenge presented. Melissa and Gary maintained a positive "can do" attitude the entire time. EXCELLENT service!